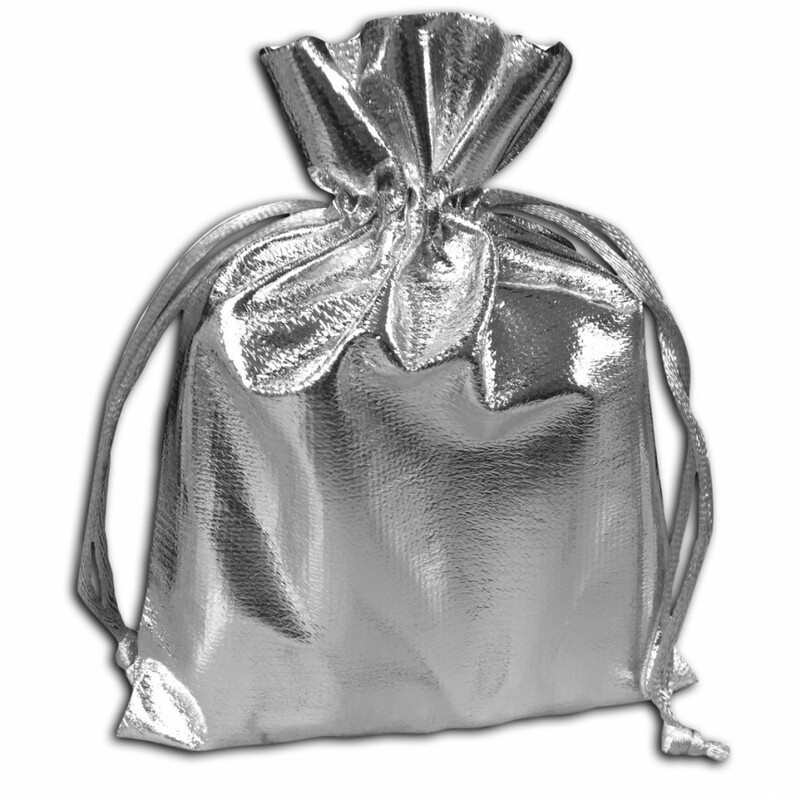 Price includes FREE presentation gift coin box and FREE same day shipping. 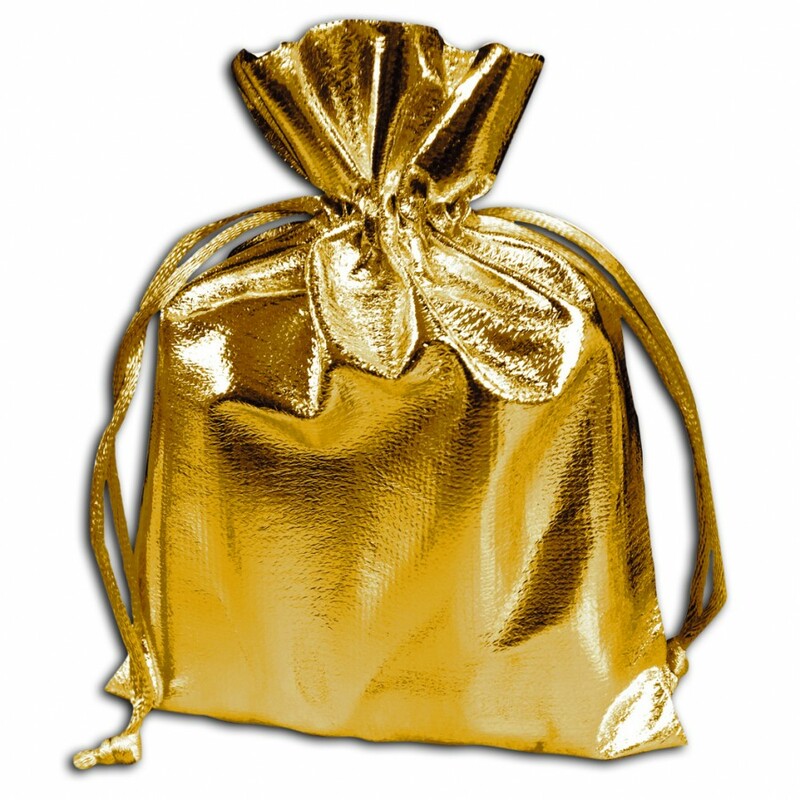 Only First Coin Company provide this options to our dear clients! In Western astrology, the Zodiac is the band of constellations through which the Sun, Moon and planets move on their journey across the sky. 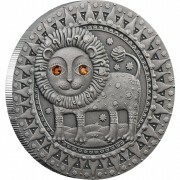 It is divided into twelve 30-degree zones of celestial longitude, each representing one of the zodiac signs. 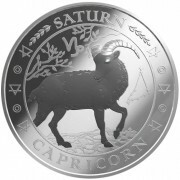 These signs, named after stellar constellations, are Aries, Taurus, Gemini, Cancer, Leo, Virgo, Libra, Scorpio, Sagittarius, Capricorn, Aquarius and Pisces. 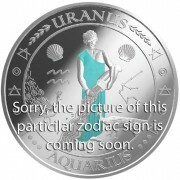 A person’s horoscope sign is determined by the position of the Sun at the moment of their birth. 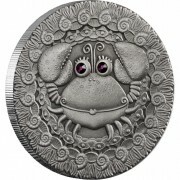 According to astrologers, the positions of the planets also influence the personality and future of a person. 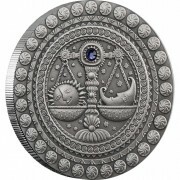 The zodiac was known as early as 3000 years ago, and is said to have originated in Egypt. It is now popularly observed all over the Western world. Mint of Finland Ltd will mint 12 pad-printed silver coins with the zodiac signs used in Western astrology as a common theme. 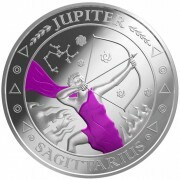 The first coin, ”Sagittarius” will be issued in October, 2010. The Capricorn and Aquarius coins will also be issued in late 2010. 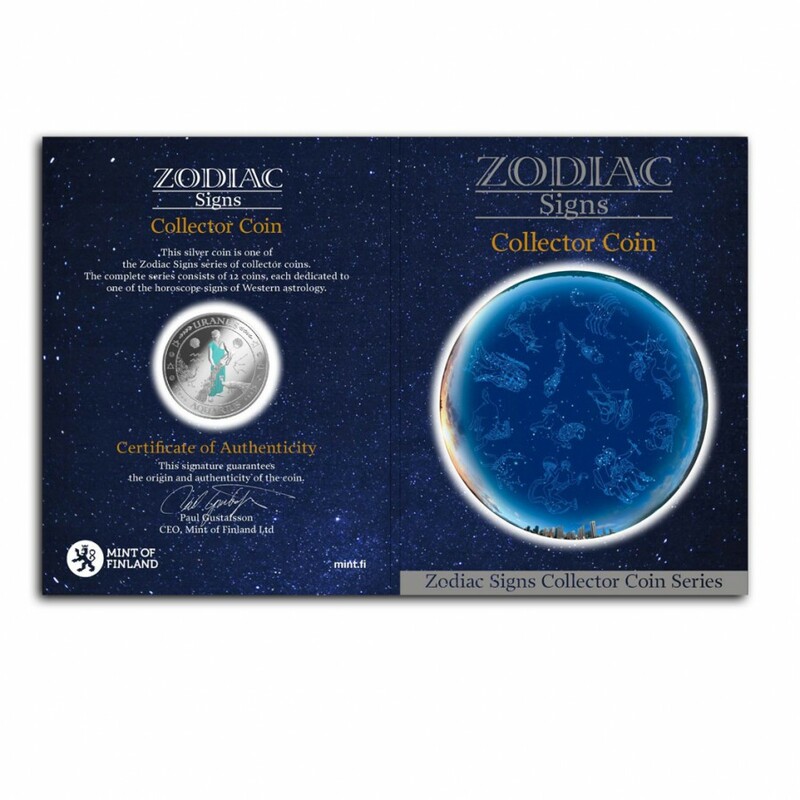 The coins will be delivered in an illustrated folder relating to the theme. 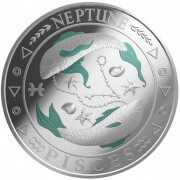 The obverse of each coin features a stylized astrological symbol of the respective zodiac sign, symbols representing the planet, a beautiful depiction of the design and text stating the name of the sign and its planet. 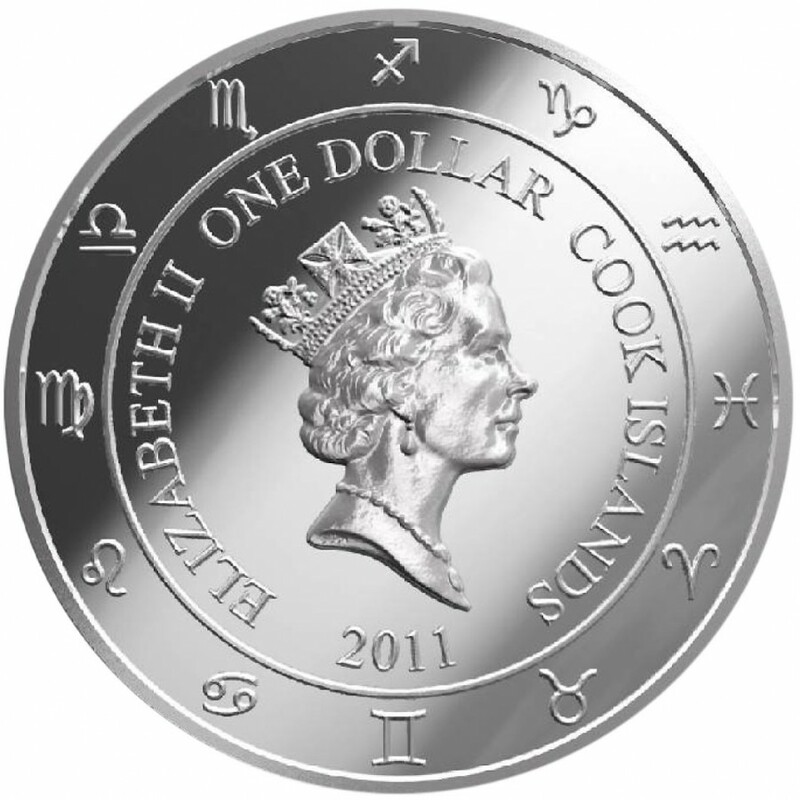 The reverse, common to the entire series of coins, has a silhouette of Queen Elizabeth II in the centre, surrounded by the 12 horoscope signs. 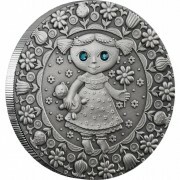 The coins were designed by Mr Erkki Vainio. 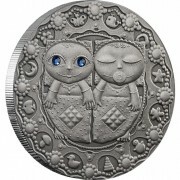 Silver Coin from "Zodiac Signs - Finland” Series 2011 is a nice and perfect gift!